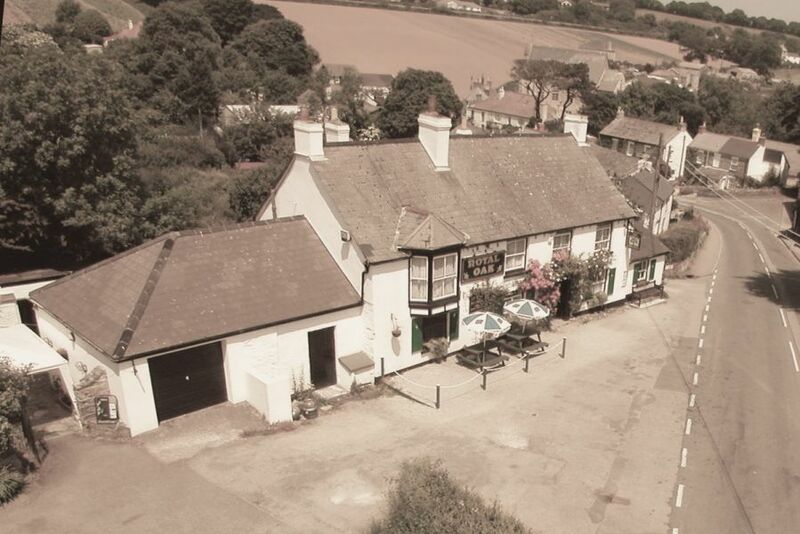 The Royal Oak Public house (01872 863175) is near The Falmouth to Truro branch line and Perranwell railway station. The halt is only 5 minutes walk (just off the picture to the top right of frame). This Tavern and restaurant is on the RAIL Ale Trail with... REAL ALES! and is a CAMERA member too. The pub is close to "The Coast to Coast" Bike Route, as well as the Great Flat Lode trail, The Tolgus Trail, The Chacewater Loop, which are all challenging off-road cycling routes.